" Articles from: December 2017	"
Here are the lyrics (so you don't have to mumble through them). 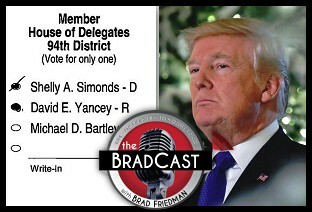 On today's BradCast, guest hosted by my own self, Angie Coiro, we have a whole passel of topics to cover. First up, we deal as quickly as possible with the latest eye-rolling idiocy from Trump. Then - what a contrast! - the amazing, multi-faceted GEORGE LAKEY – long-time activist and educator who’s been arrested for righteous causes more times than he can remember. His latest book Viking Economics explores four Scandinavian countries, and how their democratic socialist economic models can transfer to the US. Maybe we should at least look at countries that have eliminated poverty – yes, he says: eliminated poverty. There’s a lot that’s heartbreaking about Erica Garner suffering a heart attack reportedly brought on by asthma. Turns out there’s a racial component to that, with African American children twice as likely to suffer from asthma. Following that – a conversation with JAMES FORMAN, JR. He puts the ongoing battle for equal rights and respect in the context of drug laws passed and enforced by well-meaning minorities. Those very groups have suffered the most from those laws. Finally – who got those holiday gifts out of those big-box warehouses so they could sparkle under your tree? With Amazon and other retailers reporting record sales, JESSICA BRUDER introduces a hidden subculture: white, formerly middle class Americans living on the roads, moving from job to job with the seasons. It’s a strange, symbiotic relationship between these mobile citizens and the companies that hire them: Amazon, Walmart, state and federal park concessionaires, food giants. The companies provide living accommodations but barely-living wages; some nomads work 24 hours a day while getting paid for eight. Jessica’s book Nomadland was selected by the New York Times as one of the 100 notable books of 2017. In his last minute bid to prevent final certification of the first Democrat to be elected to the U.S. Senate in more than two decades, Alabama's Republican candidate Roy Moore filed an 80-page lawsuit [PDF] late Wednesday night alleging massive "voter fraud" and other somewhat confusing irregularities are to blame for his December 12 Special Election loss to the Democratic candidate Doug Jones. A state court judge quickly dismissed Moore's complaint on Thursday morning and Jones was certified shortly thereafter as having defeated him by nearly 22,000 votes out of some 1.3 million cast. Jones will fill the seat vacated by Alabama's former Republican Senator turned Donald Trump's U.S. Attorney General Jeff Sessions shortly after the new year. 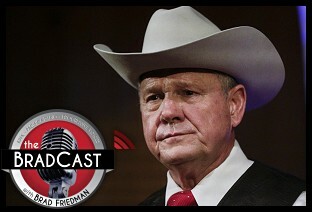 We're joined today by long-time BRAD BLOG legal analyst ERNEST A. CANNING who largely dismisses the allegations detailed in Moore's suit. Though, as we discuss, the GOP may have themselves to blame for making it difficult, if not impossible, for federal candidates in Alabama (and elsewhere) to ensure the accuracy of computer-reported vote tallies, even when they are based, as in AL, on hand-marked paper ballots scanned by computer systems but never verified for accuracy by human beings. Moore's complaint, Canning adds, is also deficient when it comes to presenting any actual hard evidence of fraud by voters. The controversial Republican cites statistical analyses focusing on high turnout in a number of African-American districts said to contrast with Exit Poll data, and the affidavit of one poll worker who claims she saw more out-of-state IDs than usual used by voters even though that's perfectly lawful under the state's strict Photo ID voting restriction. Beyond that, no hard evidence is offered by the complaint to prove that any illegal votes were cast in the election, much less thousands of them. Then, we discuss two of Canning's recent articles at The BRAD BLOG, both looking forward towards what he describes as the possibility of "democracy's revenge" in 2018. In one, he details why every single Republican U.S. House member from California could be in jeopardy of losing their seat in the "deep blue" state next year. In the other, he lays out what he describes as "Revolutionary Strategies to End GOP Rule in 2018" across the nation. The CA attorney and 2016 Senior Adviser to Veterans for Bernie also discusses the need for "political maturity" among both progressive and establishment Democrats alike, in order to effectively take on the GOP following the 2016 election of Trump and his compliant Republicans in Congress who, he argues, have since revealed their true nature of legislating only for the benefit of the rich at the expense of the poor and middle class. 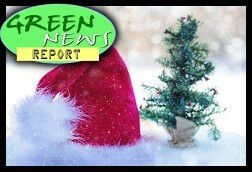 Desi Doyen then joins us for our final Green News Report of 2017, rounding up both the good and horrific news over the past year, including, despite Trump's best efforts, a number of very hopeful signs for the environment as we head into 2018. And, finally, we close with one last punch in the face at the intolerable and seemingly endless 2017, from comedian Lewis Black. Angie Coiro guest-hosts for us on tomorrow's BradCast, and Desi and I will see you again after the New Year holiday! Until then, my thanks to those of you who have answered our call by stopping by BradBlog.com/Donate in support of our efforts to try and continue our work --- over your public airwaves --- as long as possible into the new year! In a recent article, I explored the question as to whether California Congressional Republicans should now be looked upon as an endangered species. The article touched upon the declining numbers of registered California Republican voters, the fact that no Republican official has won a race for statewide office since 2006, and the fact that the Trump/GOP oligarchic agenda is so immensely unpopular, especially in "deep blue" California, that no incumbent Congressional Republican seat in the state should be considered a lock as we head into 2018. Over the weekend before Christmas there were several noteworthy federal court rulings against the Trump Administration. Among them, one blocked a plan by Trump's Housing and Urban Development (HUD) agency to overturn an Obama Administration rule meant to help low-income Americans obtain affordable housing as of January 1, 2018. The judge ruled Trump's HUD overturned Obama's new rule arbitrarily, with no supportable reason for doing so, which is unlawful. Another federal court over the holiday weekend partially lifted parts of Trump's third attempt at banning travelers and refugees from several Muslim-majority countries. The Administration claimed they were doing so for national security purposes. The judge determined that national security was actually threatened by the ban itself. Then, in related-ish matters, we're joined by the great HEATHER DIGBY PARTON of Salon and Digby's Hullabaloo to discuss many aspects of the Trump Administration and the GOP's long "War on Truth". 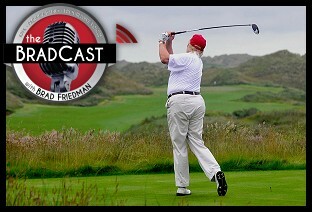 As the President pretended, on Tuesday, to be "back to work" --- before playing another round of golf on his 85th day of staying at one of his own branded properties during his Presidency --- we discuss a number of the ongoing hoaxes played by him and fellow Republicans on the American people, beginning with the absurd, Fox "News"-created "War on Christmas". "I can't even believe I have to say this," Parton tells me with no small amount of exasperation, but "how far have we come that we are actually at a point that we have to prove that there was no 'War on Christmas'?" Good question, since it seems a non-trivial number of Trump supporters actually believe there was/is such a war. That said, as she further observes, it's become very difficult to know who really believes what anymore and who is playing whom at the end of a remarkably "disorienting" (to say the least) first year of Trump's Presidency. "If you go over to Fox News, or you look at any of the rightwing media, or talk radio, of course, it's no longer that we're just arguing over stuff," she says, "they're in a completely different dimension than we are. The arguments they are having are not arguments that are taking place in our world. They're not arguing with real people. We're not existing on the same level of reality." Please Help Us Keep Blogging, Casting and Informing Into the New Year! Just a quick note --- that I'll pin up on top here for a few days (scroll down for the latest) --- to ask, if you've got anything leftover after Christmas, to drop a few dollars in the BRAD BLOG tip jar. We are at a very crucial moment, both here at the blog, on the daily radio show and on the Green News Report, and very much need your support to try and keep going with all of the above. If you can help with either a one-time donation, or a more long-term, automated monthly donation, it would be very much appreciated as we head into another new year. While some Presidents say it's "back to work" after Christmas, before going on to Tweet about Fox "News" and hitting the golf course for the 85th time in less than a year --- and some radio shows run re-broadcasts during the time between Christmas and New Years, we'll be on the job with fresh shows and blog items all week! So, thanks in advance for any support you can muster for what we do here. We rely on you! 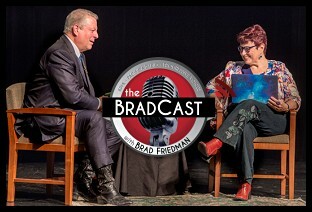 Also, while I have you here, if you haven't had time to listen to Angie Coiro's exclusive interview with Al Gore from Friday's BradCast, I'd strongly recommend you carve out some time do yourself a holiday favor and give it a listen. I believe it's the best, most informative, most personal interview I've ever heard with the former Vice President, and I'm both grateful to Angie for bringing it to us and very proud we are able to share it with you on The BradCast! Anyway, back to work here, my thanks to all of you for your support over an impossible year, and my even greater thanks for whatever help you can offer for the days ahead via BradBlog.com/Donate (or just use the form below)! Here's to a very merry holiday season, somehow, and a happy new year! As the latest blob of crap --- the new tax law --- floats out of Congress and the White House, how about a change of pace: a little hope? Not fairy-tale and pixie-dust hope, but realistic ideas for tackling former VICE PRESIDENT AL GORE tells me is the biggest challenge ever to face the human race: global warming, aka climate change. The former Veep is also founder and chair of The Climate Reality Project. Eleven years after the original Inconvenient Truth film and book comes his latest, An Inconvenient Sequel: Truth to Power. I spent an hour on stage with Gore for my own show, In Deep with Angie Coiro, talking about both the book and its companion documentary. 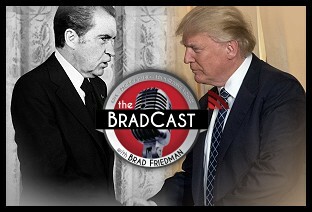 It seems the right note to strike here on The BradCast as well, when everything is pretty damned bleak. Gore is a walking lesson in how to realistically assess our situation, then push forward with what can be changed. As he says, change can take longer than you expect, then suddenly come faster (and better) than you hoped. As Christmas nears, why not become even more of a pariah to the rest of the world by literally threatening friends and foes alike at the United Nations over Trump's unpopular plan to move the U.S. Embassy in Israel from Tel Aviv to the divided city of Jerusalem? That's what UN Ambassador Nikki Haley did on Thursday, and it wasn't taken kindly --- by friend or foe. She also repeatedly lied about support from Americans for the dangerous scheme. (They're strongly against it, including a plurality of American Jews, though Trump and the GOP's big donors are in favor of it.) The move is just the latest by this Administration to cause U.S. standing in the world to plummet even further since taking office. So much for making American "great again". But, there is some good news today for Americans who favor health care, as the Administration is forced to admit that sign-ups for the Affordable Care Act ("Obamacare") this year were nearly as high as they were under President Obama last year, despite the Trump Administration defunding advertisement and assistance for the Open Enrollment period, cutting its length in half, and Trump's repeated lies that is Obamacare is "dead", "gone", "imploding", etc. In the bargain, as many Americans now favor government-run healthcare as those who prefer a private healthcare system. That, after Americans had previously preferred a private insurance system by nearly 30 points in the same poll back in 2010, before Obamacare was initially enacted. And more good news before the holidays: another completely unqualified nominee for a lifetime appointment to the federal bench has withdrawn, though the GOP is still jamming similarly unqualified nominees through the Senate confirmation process at a record pace. Next, Desi Doyen joins us for another busy Green News Report with some discouraging news, with the passage of the GOP tax bill, for the pristine Alaska National Wildlife Refuge (ANWR) and for victims of our quickly increasing climate-fueled natural disasters, but also some encouraging news elsewhere in the world. 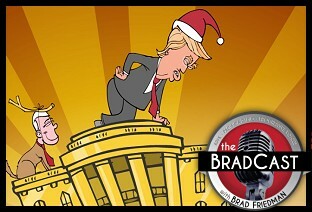 And, finally, since it's Desi and my last show before Christmas --- (Though not the last BradCast before Christmas! Angie Coiro sits in for tomorrow's show with her exclusive interview with AL GORE!) --- it seems only fitting today to end today with a dramatic holiday reading of How the Trump Stole America. 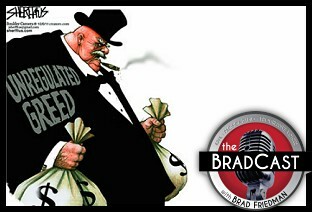 PLEASE NOTE: We are at a very critical time for both The BRAD BLOG and The BradCast! Please consider donating here (or on the form below) to help us keep telling the truth on the blog and over your public airwaves as long as possible! Both one-time donations and, especially, monthly subscriptions are greatly appreciated!!! 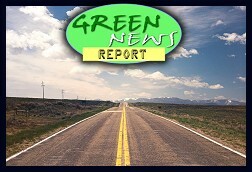 IN TODAY'S RADIO REPORT: A reprieve for renewable energy, but not for disaster victims, in Republicans' massive tax cut bill; GOP achieves their dream of drilling in Alaska's pristine National Wildlife Refuge; Australia finds renewable energy more reliable than coal; PLUS: California's Thomas Fire now 2nd largest in state history... All that and more in today's Green News Report! Just after our show yesterday, the Commonwealth of Virginia completed a partial-machine, partial-hand "recount" of one of last month's House of Delegates races that, by one single vote, appeared last night to hand the victory to the Democratic candidate Shelly Simonds. One single vote. If Democrats pick up that seat, it would, in turn, end decades of Republican-majority control of the House, with a 50/50 seat split among Ds and Rs. Before the November 7 election, Republicans held a 66-34 seat advantage. It appeared, as of last night, to be a done deal, with the Dem having been declared the winner after the "recount" by one vote on the state's hand-marked paper ballots and the Republicans having conceded the race. (Virginia finally got rid of all of its 100% unverifiable touch-screen systems this after.) The bi-partisan election official judges signed off on Tuesday's new tally, handing the victory to Simonds over Republican David Yancey who had led by just 10 votes prior to the "recount". So, after a two hour court hearing on Wednesday, it was decided by a three-judge panel that the race was/is a tie instead, with 11,608 votes for each candidate. That means control of the VA House --- and the increased possibility of health care coverage via Medicaid expansion for nearly half a million Virginians --- will be left up to a random draw to see who wins the seat. It should also be noted here that Democrats received some 53% of the vote, compared to just 43% for Republicans across the state when the entire House was up for grabs in November. Nonetheless, as things currently stand, Democrats may only achieve a 50/50 split in the House. That should offer an idea of how badly the Republicans have gerrymandered the state. 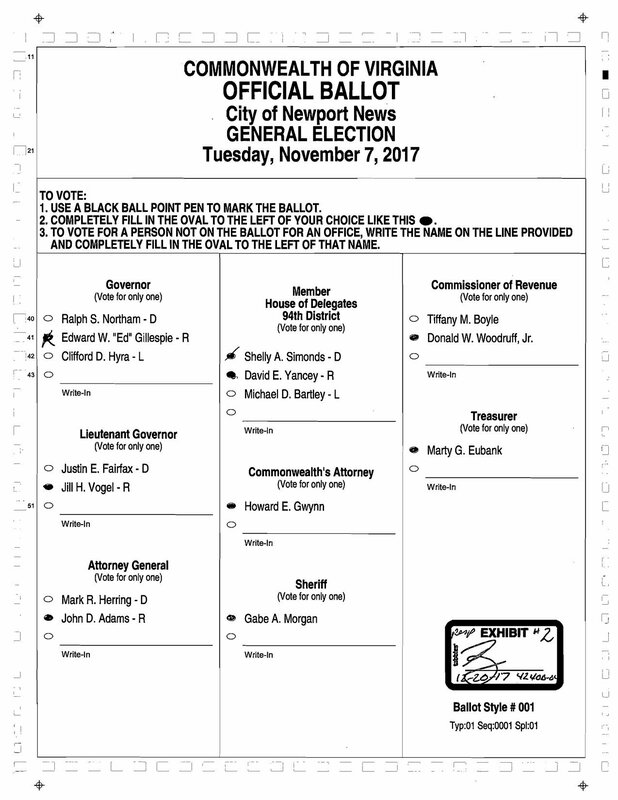 Also, a separate recount for a separate very close VA House of Delegates race is still pending, though Democrats there are suing for a completely new election, since at least 100 voters were given the wrong ballot in a race currently decided for the Republican incumbent --- before the "recount" --- by just 82 votes. Then, we're joined today by JEET HEER, Senior Editor at New Republic to discuss the final passage of the GOP's massive tax cuts, largely for the wealthy, how Democrats are responding to them, and whether or not they are over-relying on the possibility of impeachment to take down President Trump as they head into the 2018 mid-term election year. Heer argued as much in a recent article discussing "the Democrats' dangerous obsession with impeachment". It's a highly debatable subject, about which I am of at least two minds, as discussed in detail with Heer on today's show. On Tuesday, House Republicans passed what they thought would be the final version of their massive tax legislation to transfer hundreds of billions, if not trillions of dollars from the poor and middle class to the wealthy and corporations already raking in record profits. A parliamentary issue in the Senate, however, may require the House to vote on the measure once again on Wednesday. But, either way, the bill now looks as if the temporary tax cuts for individuals and massive permanent cuts for corporations will clear both chambers and head to Donald Trump's desk for signing before Christmas. So, what happened to all of those Tea Party folks who, back in 2010, under a Democratic President, pretended to be demanding fiscal discipline and an end to deficit spending in Congress? All of those dupes, patsies, chumps and suckers --- not to mention the GOPers who scammed them about it all in the first place --- now seem to be cool with adding $1.5 trillion to the national debt via the GOP tax bill. In Congress, Republicans are now giddy about their hopes of dealing with that debt by cutting social programs, like health care to people who need it, including Medicare, Medicaid and Social Security, to help pay for their massive tax cuts to the wealthy and for huge increases in spending for the U.S. war-making machine. At the same time, Democrats ought to be eying the fact that the vast majority of voters --- including huge majorities of Trump supporters --- would prefer to see taxes raised, not lowered, on the rich. Political scientist and researcher SPENCER PISTON of Boston University, author of the upcoming book Class Attitudes in America: Sympathy for the Poor, Resentment of the Rich, and Political Implications joins us today to discuss his recent article at The Nation with Sean McElwee, on how Republican politicians continue to get away with cutting taxes for the wealthy, despite overwhelming popular opposition to it. 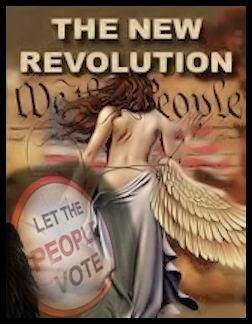 Piston explains how tactics are used by the GOP to confuse the public (which are then echoed by the media) and, when all else fails and such measures are still wildly unpopular --- as with the current GOP tax cuts --- they go ahead and vote for it anyway. It's time, he argues, for Democrats to stop shying away from leveraging resentment of the rich in their politics. And he has the data to prove it. "There's a common assumption out there that, in a democratic political system, the desires of the public should guide public policy," he tells me. "And in some cases that's certainly true. But, in many cases, the opinions of the public have very little to do with the policy outcomes that actually occur. This [GOP tax plan] is no exception. Americans have desired higher taxes on the rich for decades. And yet, fairly consistently, albeit with some notable exceptions, taxes on the rich over the past few decades have plummeted." "The reason that this happens is policy makers who don't want to do what majorities of the public want, follow a playbook of confuse, distract, and ignore." Piston explains how it works and what it means --- or should --- for Democrats as they move into the 2018 mid-term election year and look to 2020 beyond it. "There is certainly a benefit to running against the rich, which is that it's easier to get the public on your side," he explains, before cautioning, "But it's not as easy to get donors on your side." 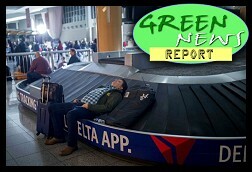 IN TODAY'S RADIO REPORT: Atlanta airport blackout exposes serious vulnerabilities in nation's air transportation system; Fast-growing winter wildfire in Southern California now third largest in state history; Study finds climate change already wreaking havoc on our weather; PLUS: Trump removes climate change from the list of national security threats... All that and more in today's Green News Report!